Here's a photo from John and Beckah. 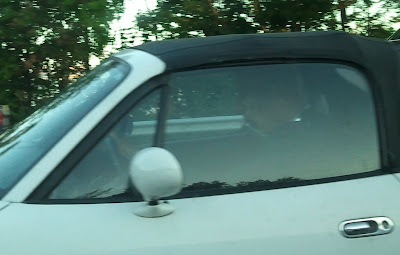 As they were driving, they saw this dude in the car next to them. It's hard to tell, but the dude is wearing a harmonica rack and is playing away on his harmonica. I assumed his radio was broken, but now I think he might have just been playing along.